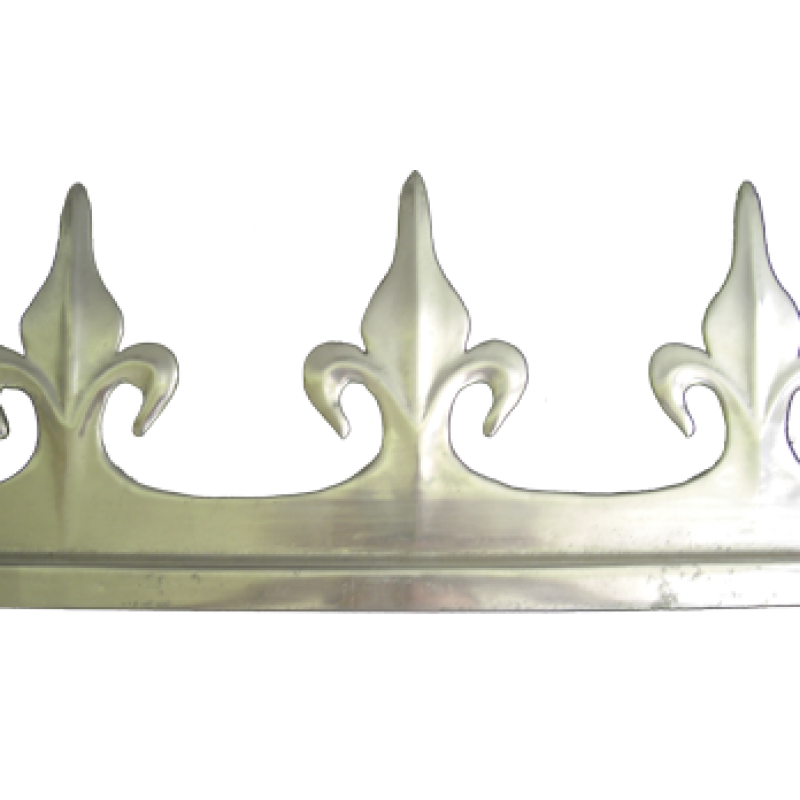 Our roof crestings are all cast from solid aluminium. 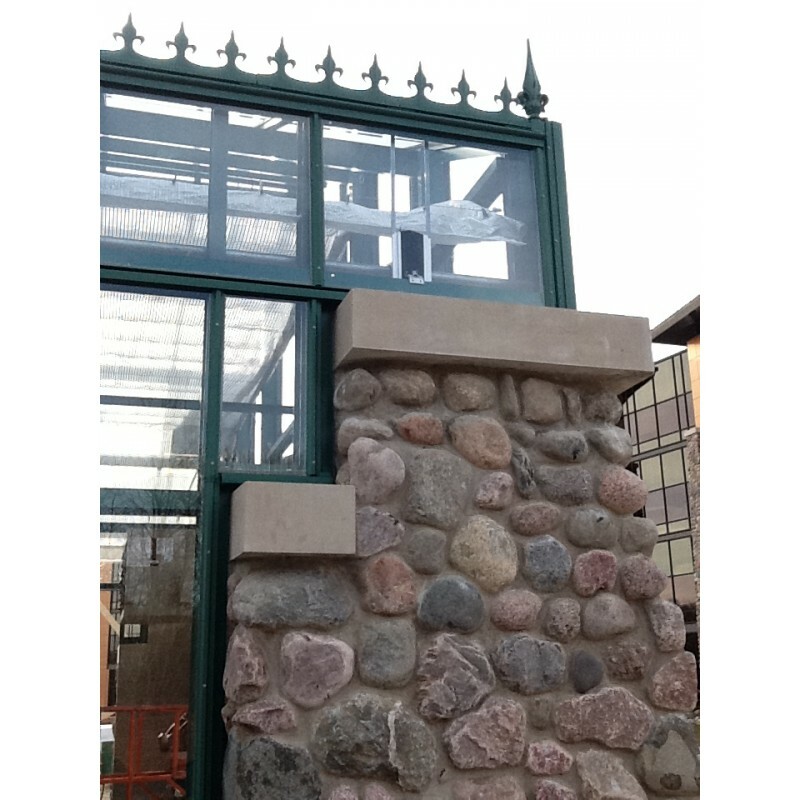 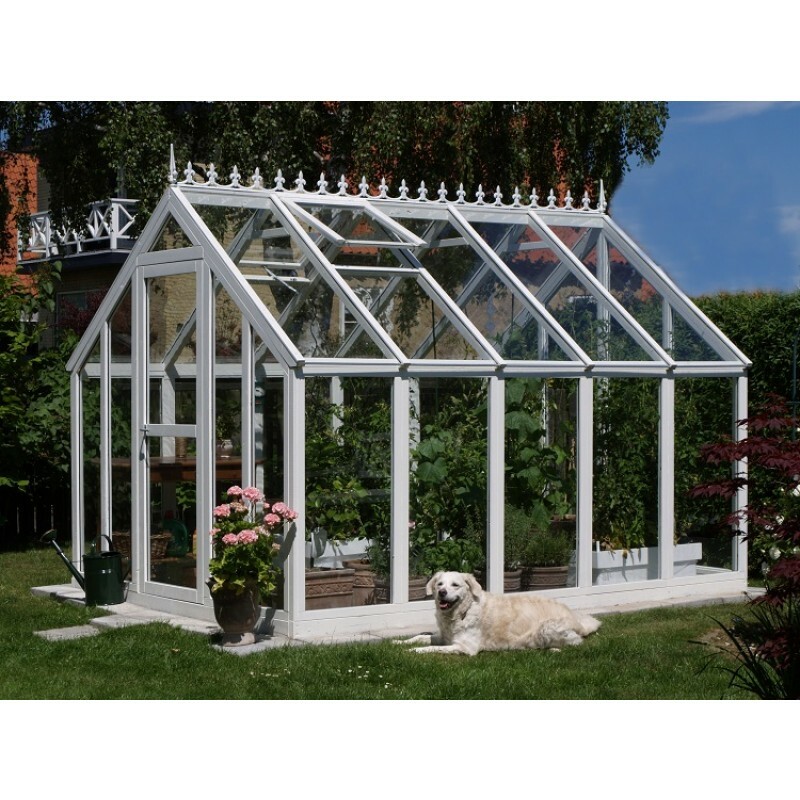 Our roof crestings are suitable for use as conservatory crestings, ridge crestings, greenhouse crestings, summer house and shed roof crestings, porch crestings and any other building with a ridge. 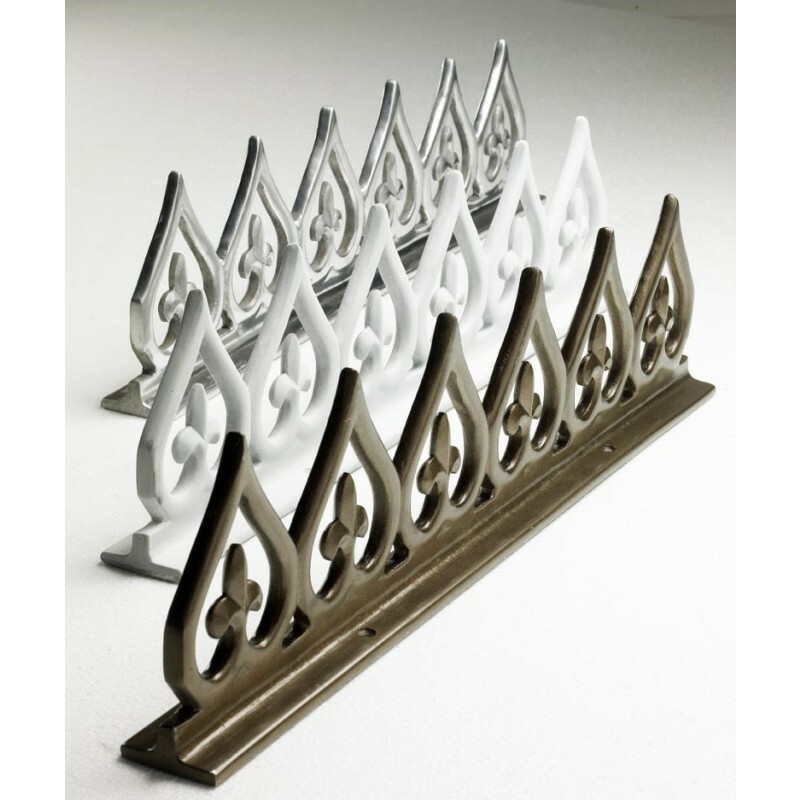 We offer our crestings in two primer paint finishes and a raw finish ready for any special colour or finish anyone would wish to apply. 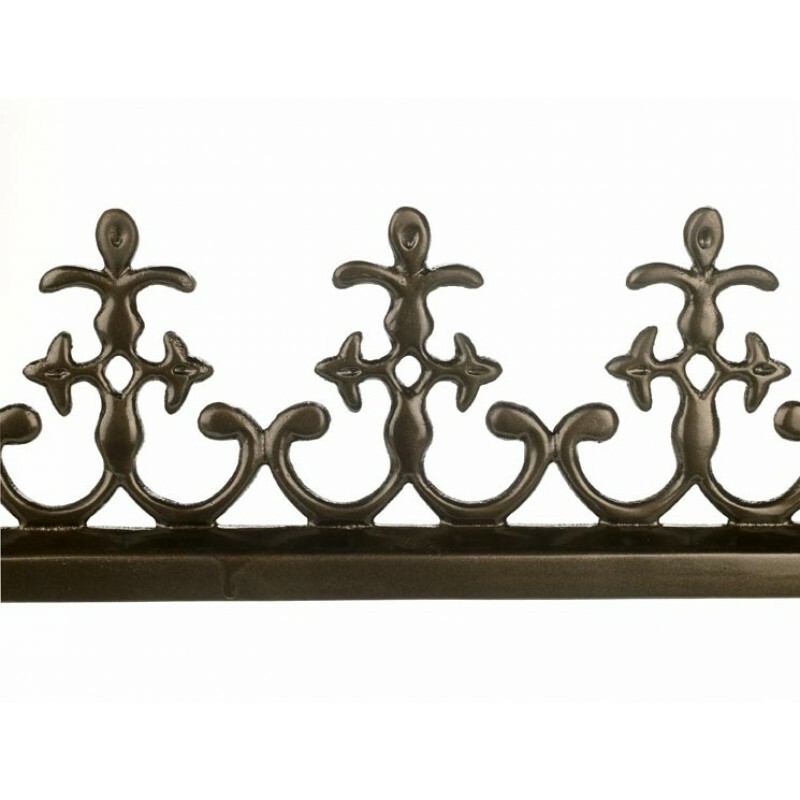 Don’t forget to finish your project off with a finial from our extensive range. 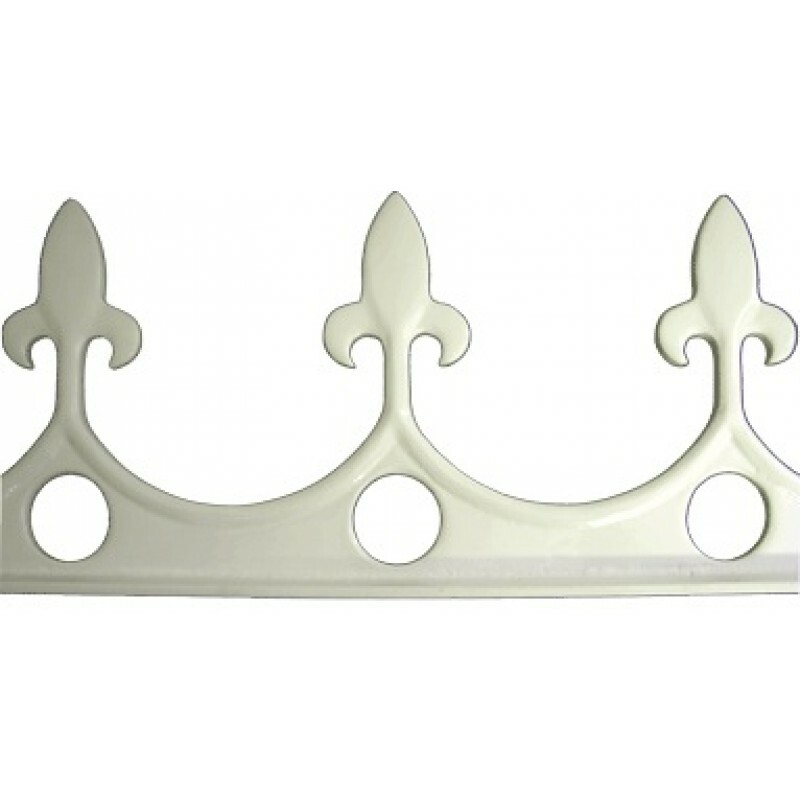 A classically styled conservatory roof cresting hand cast in solid aluminium. 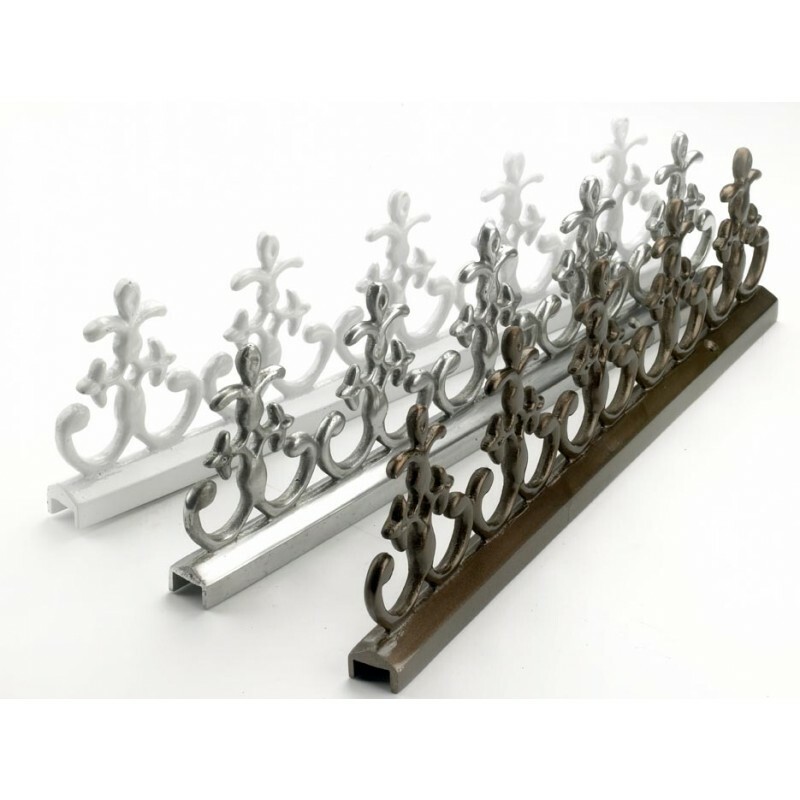 This Aluminium Ornate Cross Cresting will add the finishing touch to conservatories, greenhouses, summer houses or even your shed. 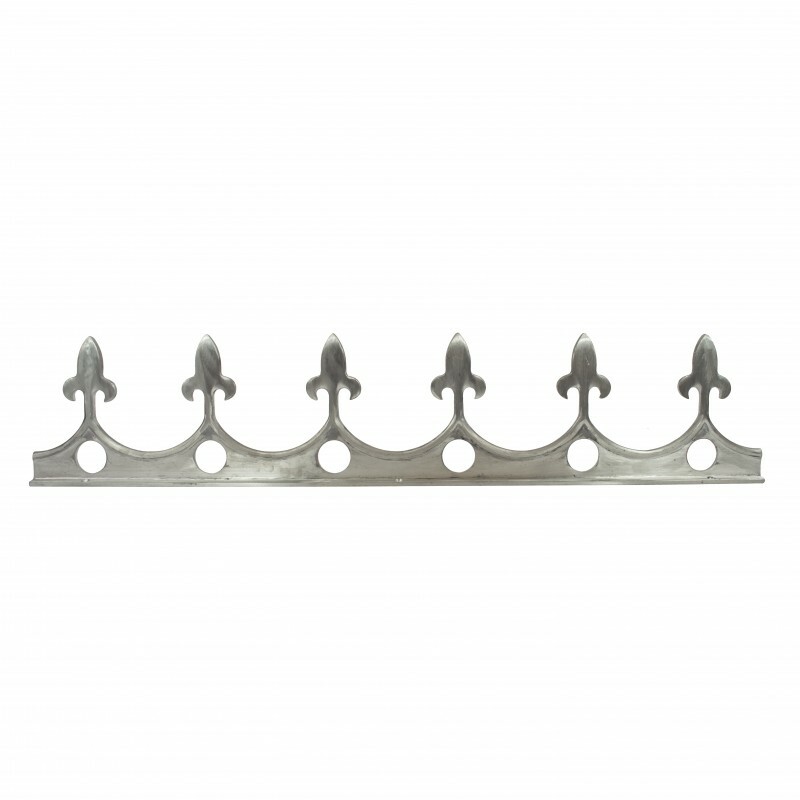 This cresting has countersunk fixing holes on five fixing ears per length. 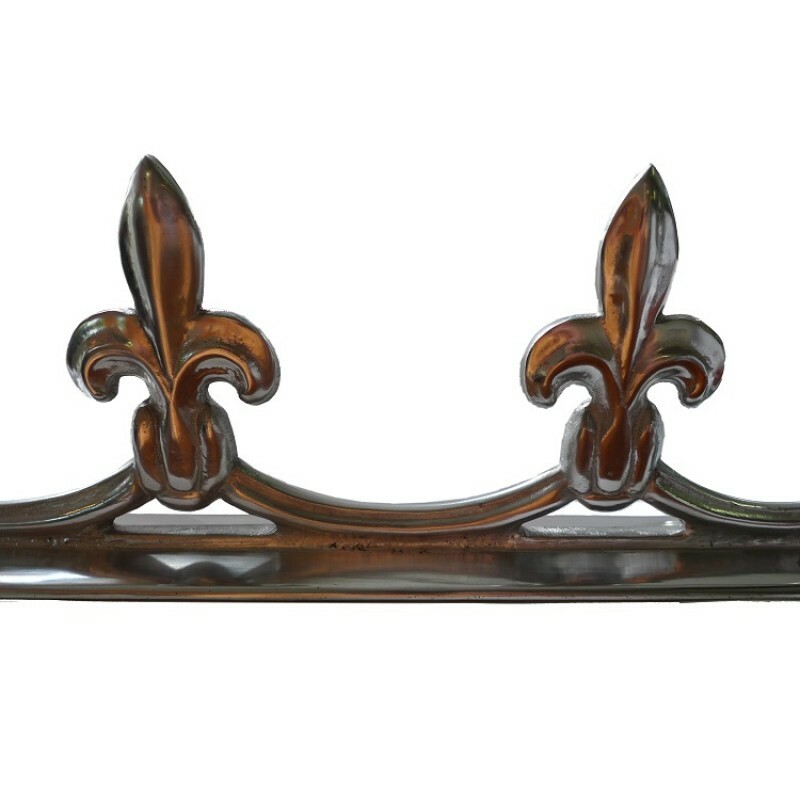 Our deluxe Fleur de Lys cresting is a more detailed, enhanced version of our standard cresting. 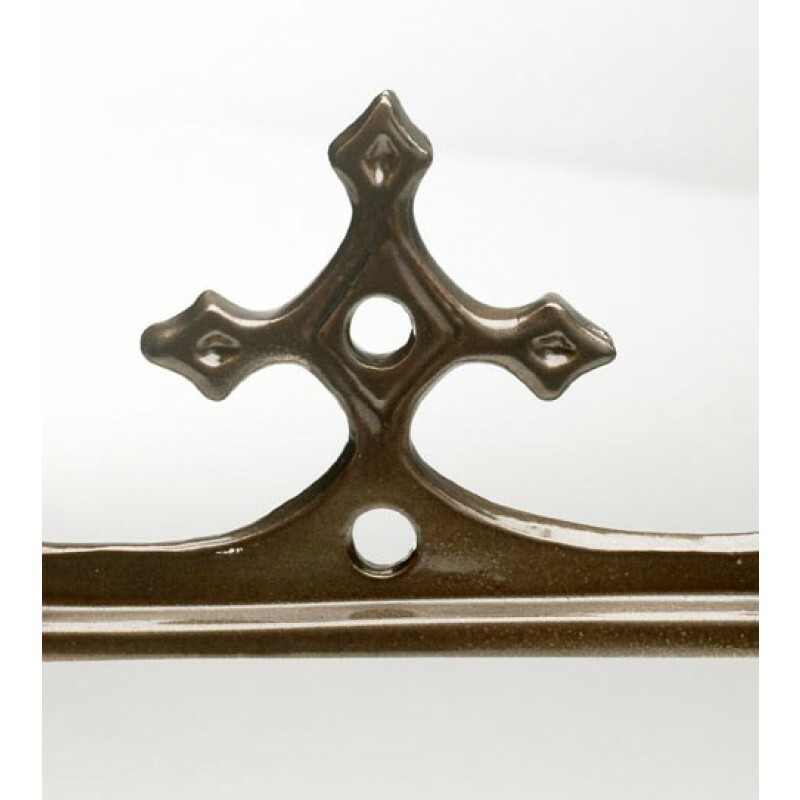 Our skilled craftsmen spend extended periods of time ensuring each cresting is refined to contain added detail and design. 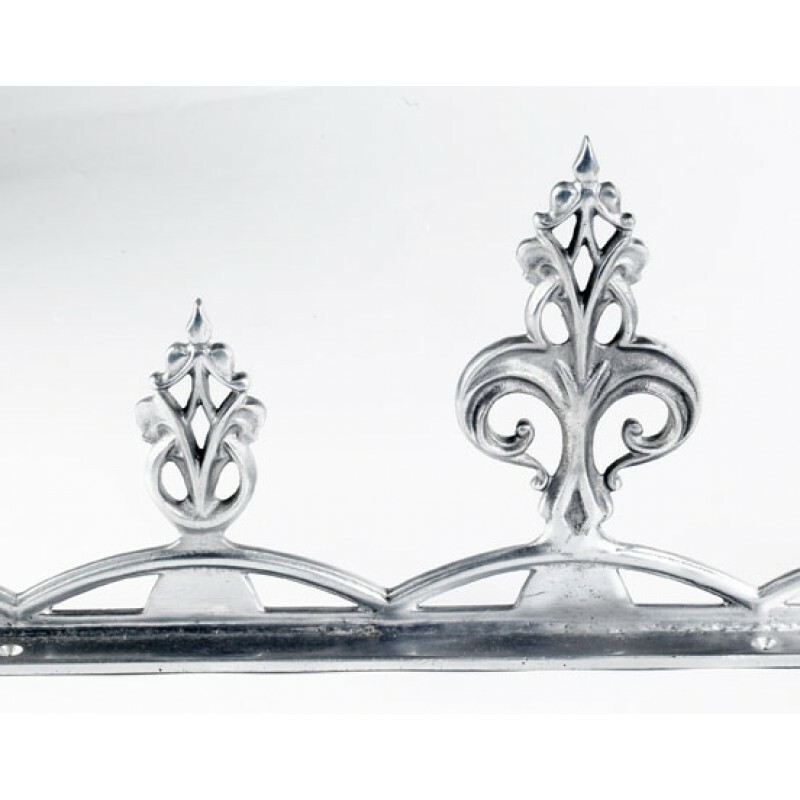 Cast in pure aluminium and then highly polished, this deluxe detailed version ensures your conservatory roof is a beauty to behold. 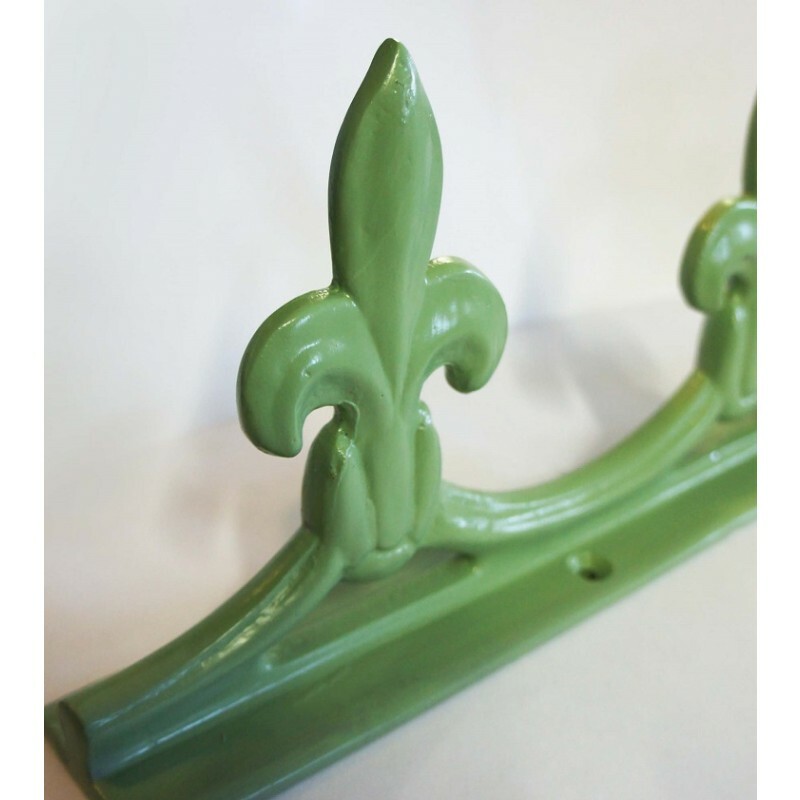 An old-fashioned styled conservatory roof cresting hand cast in solid aluminium. 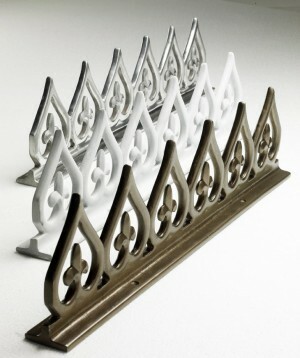 This Aluminium Ornate Cresting will add the finishing touch to conservatories, greenhouses, summer houses or even your shed. 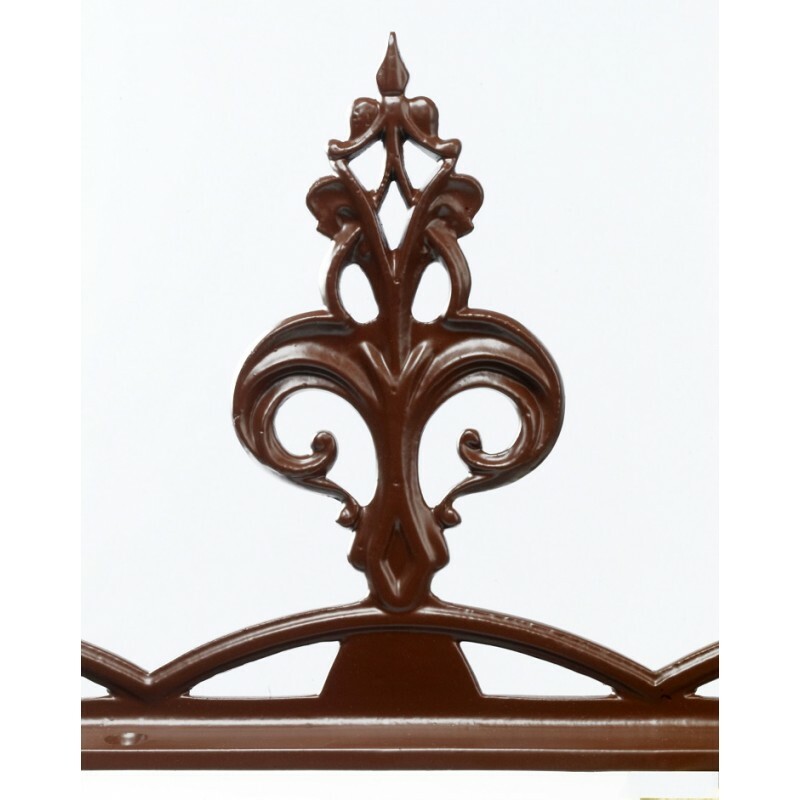 This cresting has a channel base, we can supply flat base crestings as a special project! 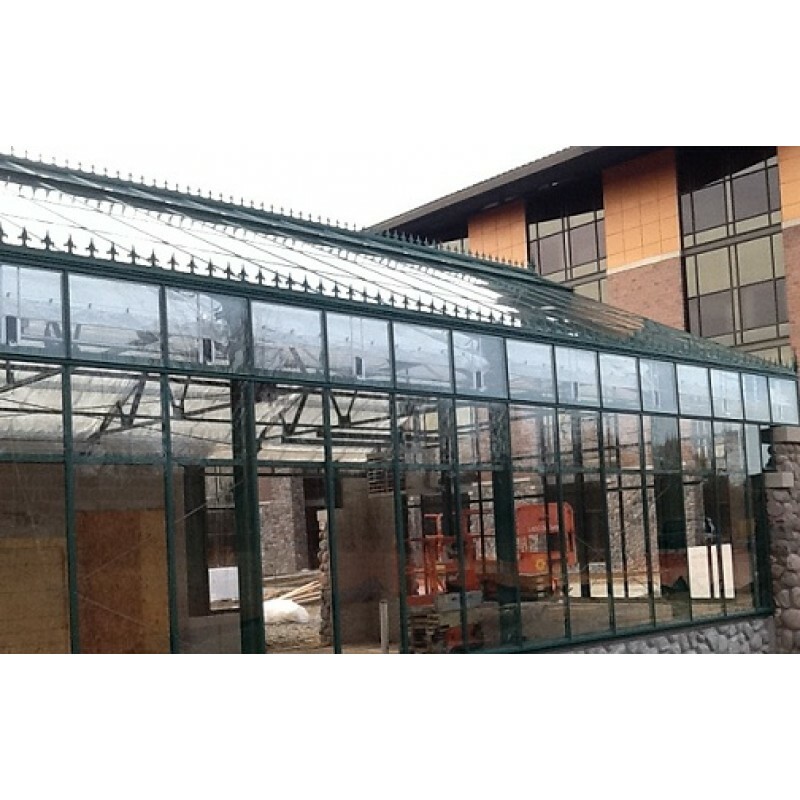  We are very satisfied with the cresting for our greenhouse, thank you! 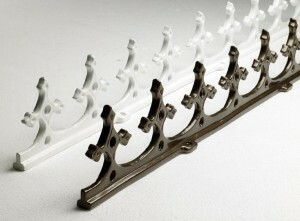 As promised I hereby send you a couple of pictures. 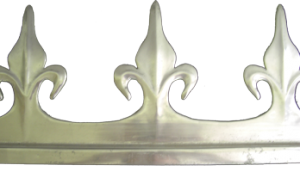 Our Solid aluminium Fleur de Lys Crestings are the perfect way to finish off a conservatory or to top any ridge. 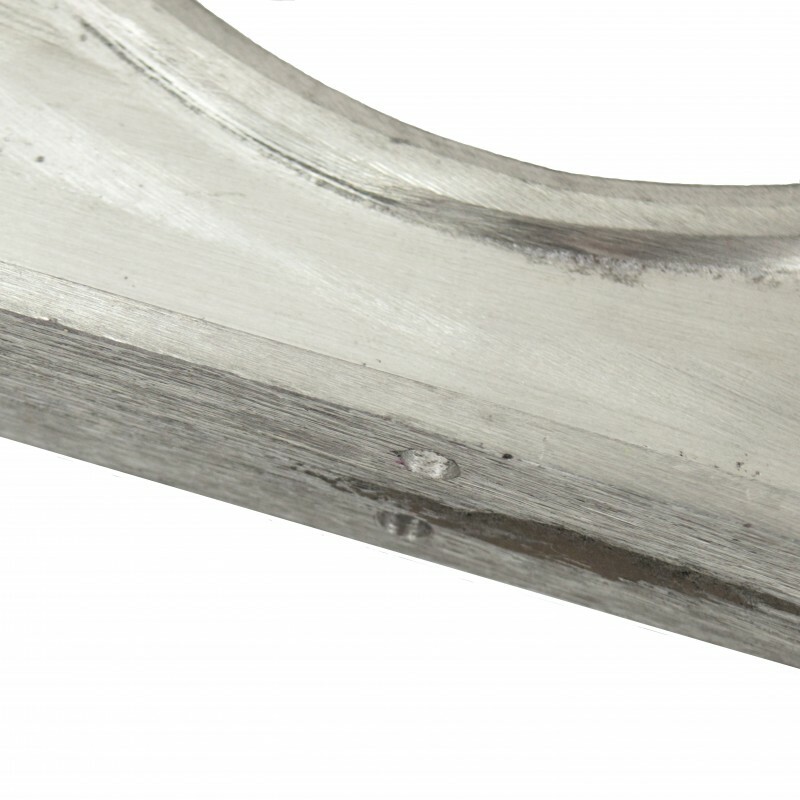 We will normally drill 2 fixing holes each side of every length supplied, please phone orders for undrilled lengths of this cresting! 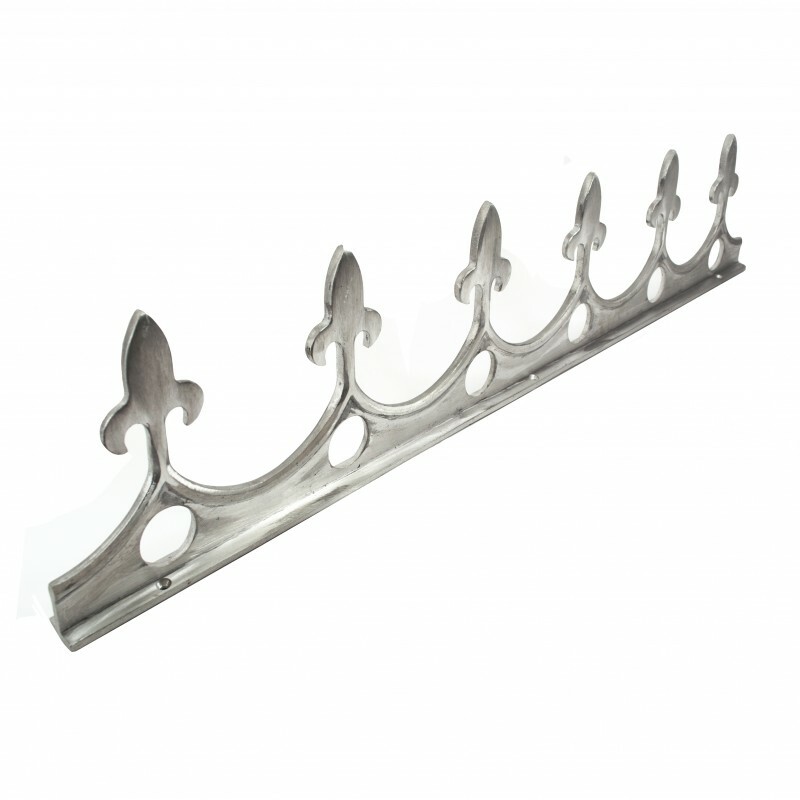 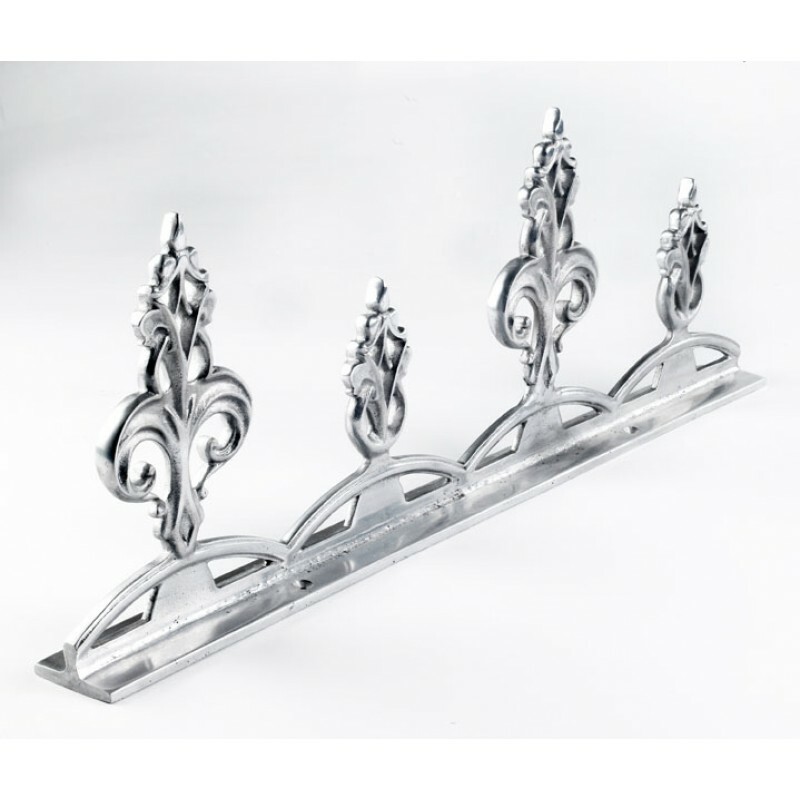 Solid aluminium Barnes Fleur de Lys Cresting has a flat base fixing and comes in longer lengths for quick finishing. 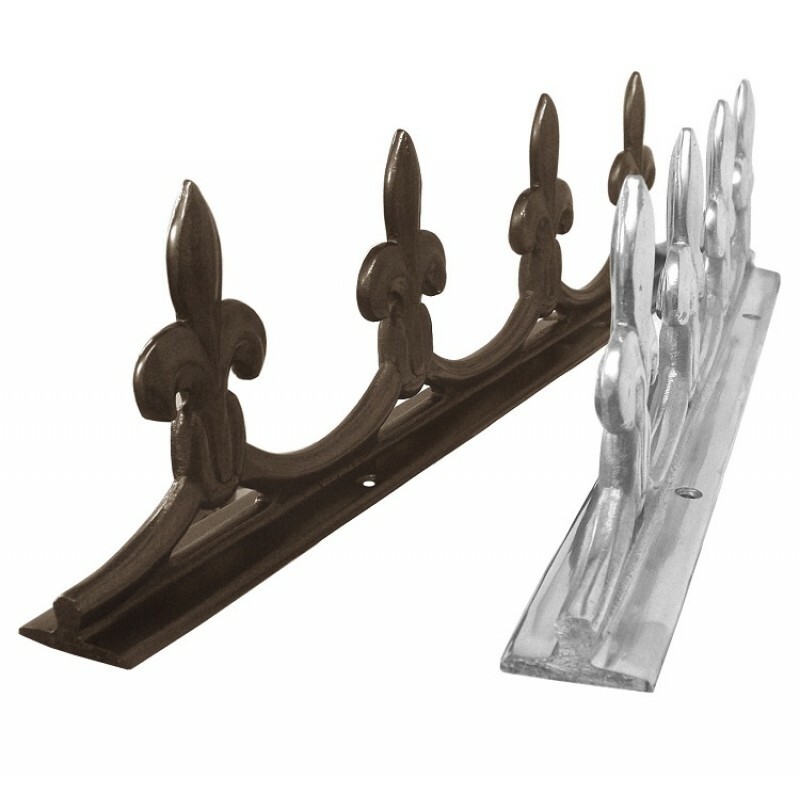 Available in two colours or polished finish. 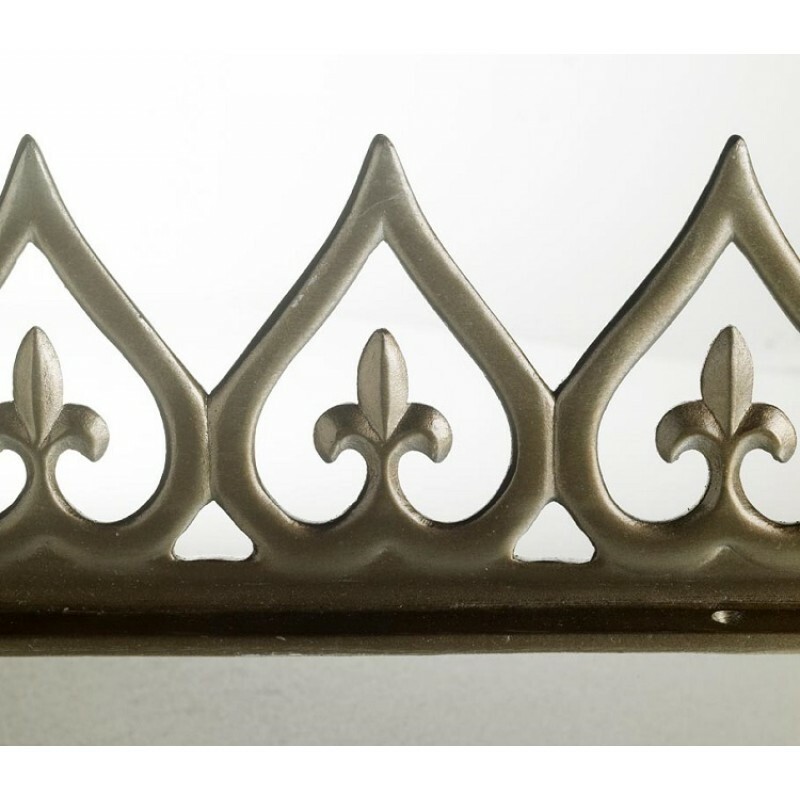 A gently undulating Fleur de Lys design ridge cresting had cast in solid aluminium, will finish off all types of conservatories, greenhouses, summer houses, porches and sheds. 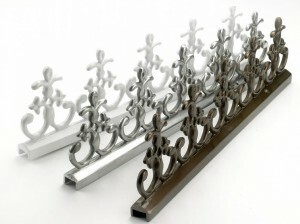 Aluminium Bridled Fleur de Lys Cresting. 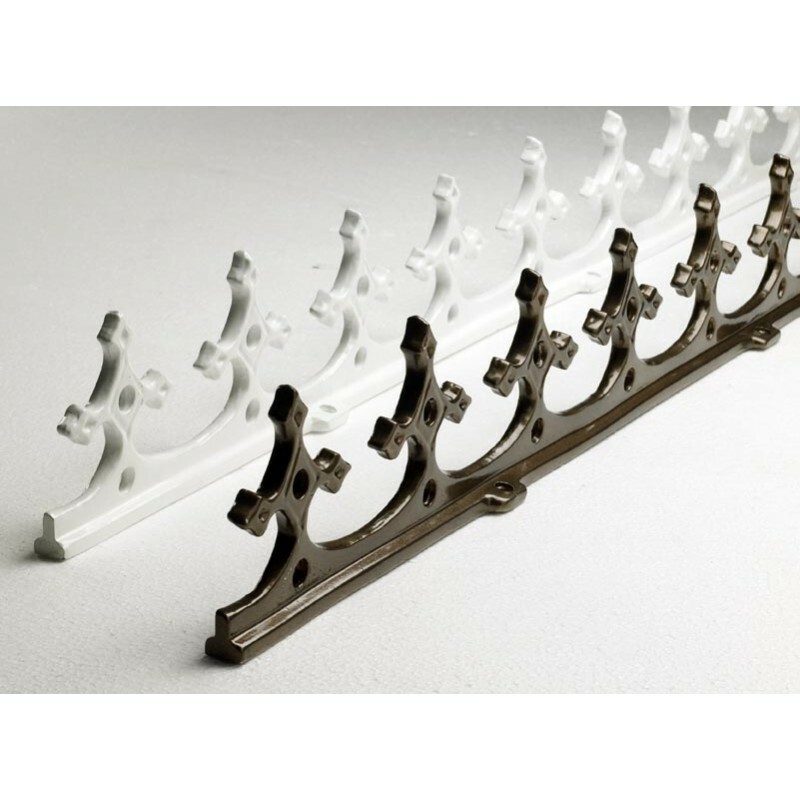  Available in white or brown powder coating or polished aluminium finishes. 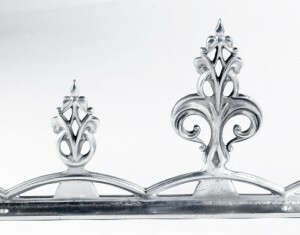 Unusual, old fashioned styled conservatory roof cresting hand cast in solid aluminium. 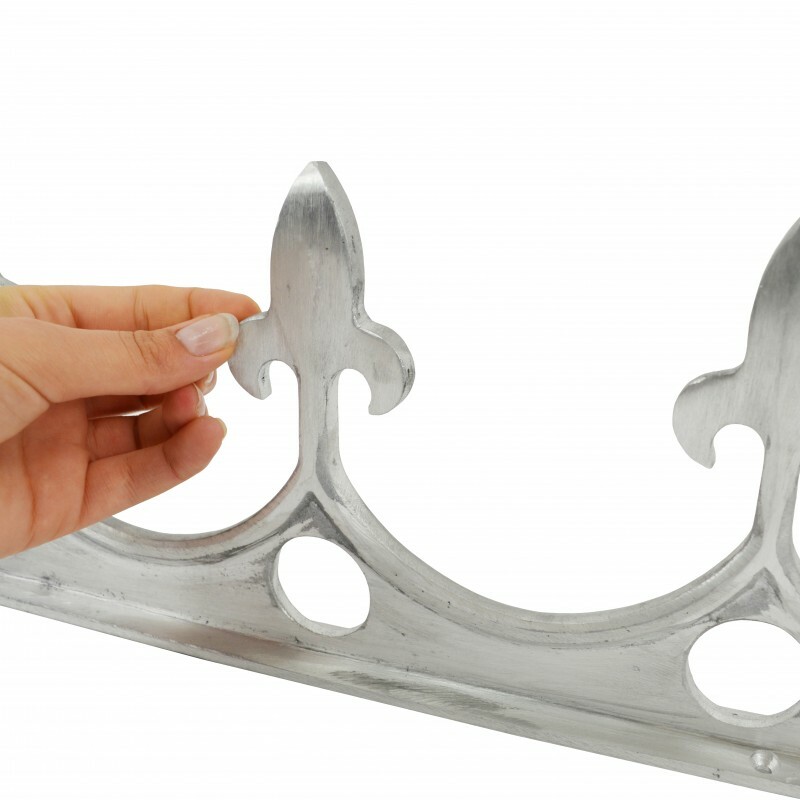 This Aluminium Spaded Fleur Cresting will add the finishing touch to conservatories, greenhouses, summer houses or even your shed. 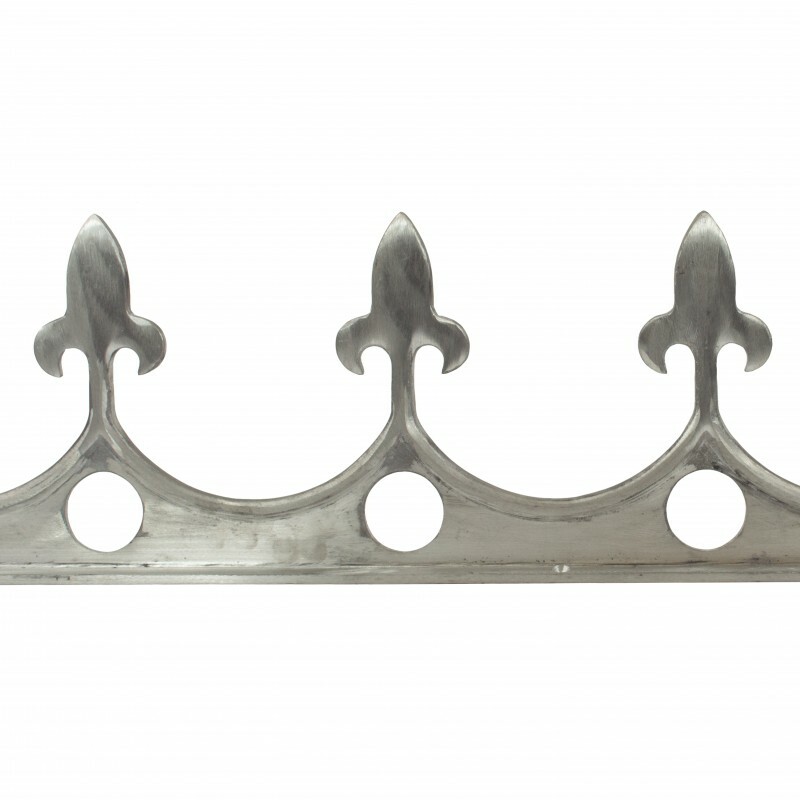 Flat bottomed for easy fixing.